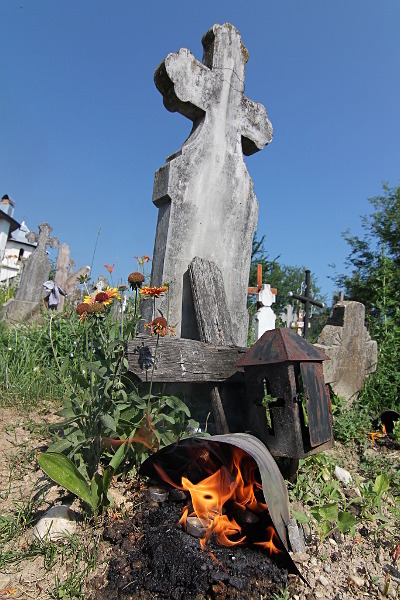 Moșii de vară, meaning something like “the summer old men” is a pre-Christian tradition happening in Romania and is part of the cult of the dead, it has a “sister” called “Moșii de iarnă” (“the winter old men”) and some smaller “Saturdays of the dead”. Even the name, Moșii show its old origin, this is one of the name attributed to the old Dacian god Zamolxis. There are multiple stories about it, one says the souls of the dead leave their graves 50 days in advance and walk the land, in this day they have to be lured back in their graves with food offering or else… is not clear what happens, maybe the vampires myth placed randomly here was not that random? Another story says about Moși as being the souls of 9 dead men who are protecting the community. 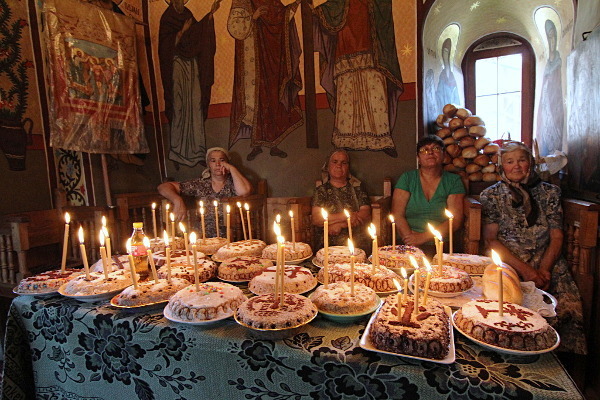 In the classic Christian tradition, the Orthodox church applied the “embrace and extend” strategy here: it put close to it a big religious holiday, the Pentecost, so now Moșii de vară is a big bullet point in their calendar, along with the other celebration of the cult of the dead they embraced. The food was switched to colivă and fruits (is the fruit season). Still, the embrace does not look that successful, very few Romanians know the meaning of the Pentecost and even the holiday itself is called by other name, “Rusalii”, by the name of some female evil spirits hunting for souls – yet another pre-Christian tradition thrown in the mix.